Its not often I have a legitimate reason to write about rappers on twentyteneightyfour but I’m making an exception for Jay-Z. He holds a small place in my heart ever since I saw him live at a gig in my first year of university. I went from being a hater to standing on my seat screaming “Hova” and rapping along to his songs. The reason for the post is not because he’s got a new album coming out but actually because he’s releasing a book (stick with it, the link is coming soon). Decoded, reveals the hidden meanings behind thirty-six of his songs and his journey through hip hop. Jay-Z is bringing the pages of his book to life through a collaboration with search engine, Bing, to expose every page in a unique way before its official release on November 16. Jay-Z fans can decode the songs using clues from his Facebook, Twitter, website and Bing, all leading to locations that have inspired his lyrics in Miami, New York, London and Las Vegas. On November 11, one of the three hundred pages was revealed in a leather bomber jacket in the window of Gucci’s Fifth Avenue flagship store in New York. 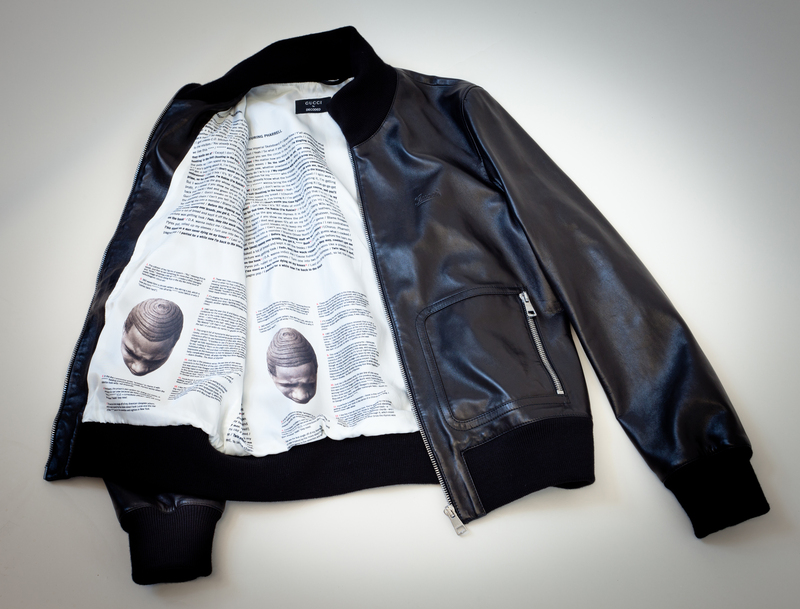 The leather bomber is a limited edition, one of a kind designed by Frida Giannini. Fans are being encouraged to take pictures and text or upload it to the Decoded page to be in with a chance to win the page signed by Jay-Z. I wonder where the London clues are? Only 2 more days to go.